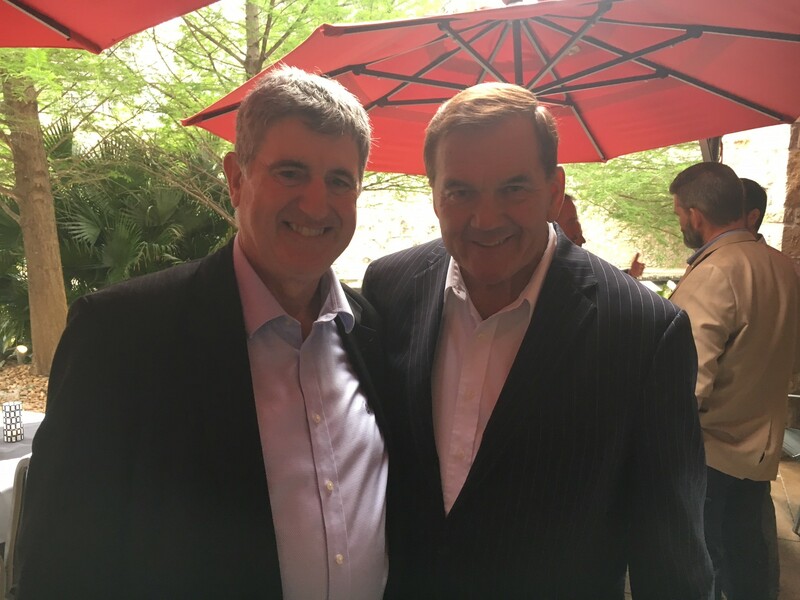 Whilst attending the annual Border Security Expo in San Antonio Texas last month, our CEO Tony Smith ran into an old friend and colleague – Tom Ridge, former Governor of Pennsylvania and the first Secretary of the Department of Homeland Security. The pair shared memories of times when they worked together on the shared US / Canada Border Programme post 9/11, when Smith was working on attachment to Citizenship and Immigration Canada as Director of Ports and Borders under the Ridge / Manley Accord. “They were difficult times for all of us, but the leadership shown by Governor Ridge and his Commissioner at the time – Judge Rob Bonner – was an inspiration” said Smith. Smith went on to take charge of Border Security for the hugely successful London 2012 Olympic Games, before his retirement from public service in 2013 – a role for which he was awarded the prestigious title of Commander of the British Empire. Governor Ridge is now chairman of Ridge Global, providing strategic security consultancy advice in the United States and elsewhere. Tony Smith will be returning to Washington DC to co chair the International Summit on Borders with Commissioner Rob Bonner on 13 – 14 June, alongside several other border leaders and experts from around the world.